After doing some painting, it is important to keep your paint brushes clean and sturdy for the next use. 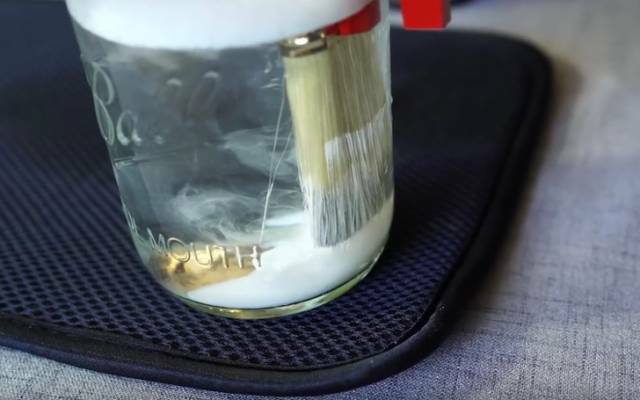 Cleaning them can be a lot of trouble, especially when you’ve used paint that’s oil-based, and it’s important to keep the bristles from becoming overly sticky or bent. Once this happens to the paint brushes, they are pretty much useless. 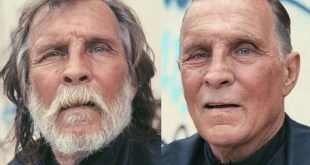 When that happens, this life hack proves to be a game changer. 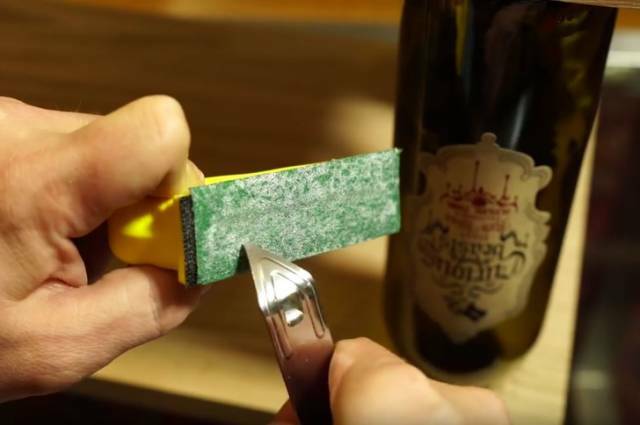 Place a magnet at the edge of a glass. 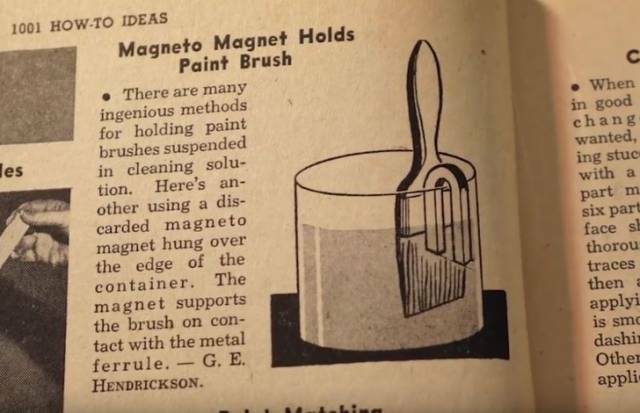 When it is hanging from both sides, stick the paintbrush to the magnet and push the magnet from the outside to clean it against the glass without the bristles touching the bottom. When you work in a dark area that has no lamps or any other sources of light, you have to settle for a flashlight. 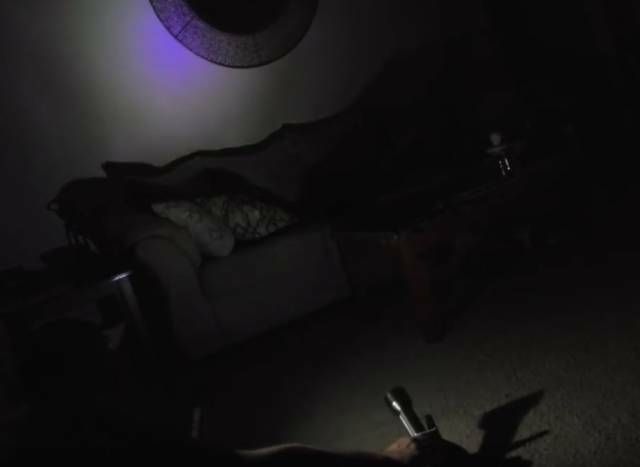 But sometimes you just need to mount a flashlight to keep it steady pointing in one specific direction to see what you are doing. 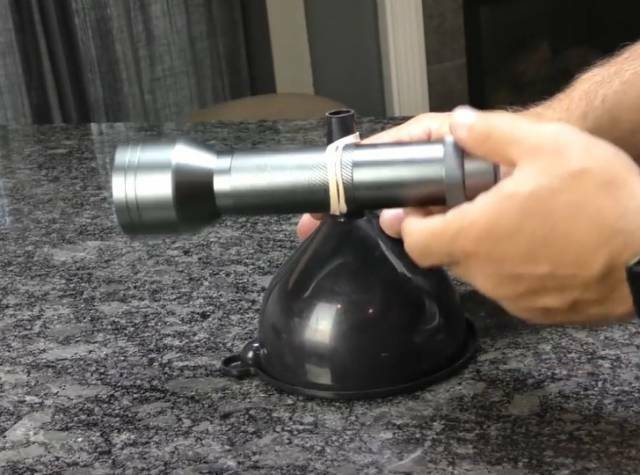 Using a rubber band, attach the flashlight to the spout of the funnel or even large bottles that are filled with water in order to prevent it from falling over. 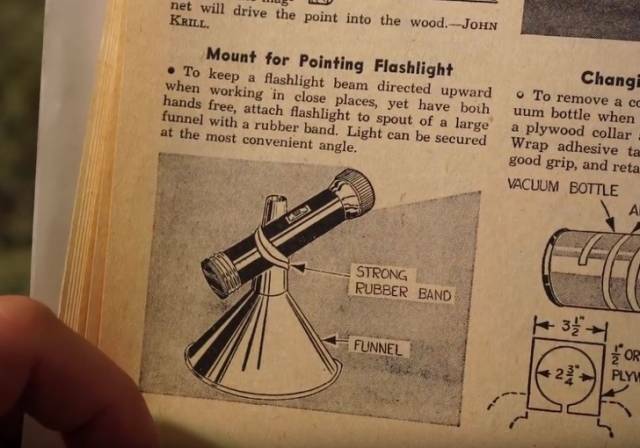 Then adjust the position of the flashlight using the rubber band and you’re ready to go! 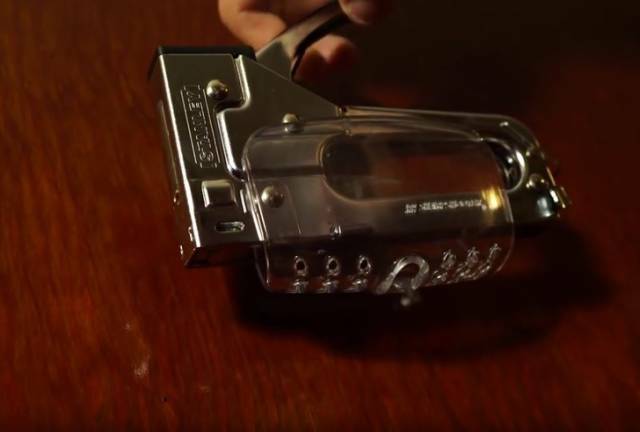 This can be useful when there is a power cut or a dark room that has no light source, and you need both your hands to do various tasks with. 3. Prevent bacon strips from tearing or shredding. 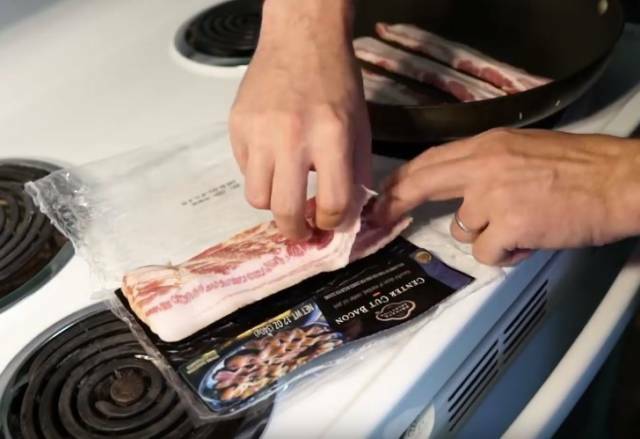 This is the best life hack for bacon-lovers. 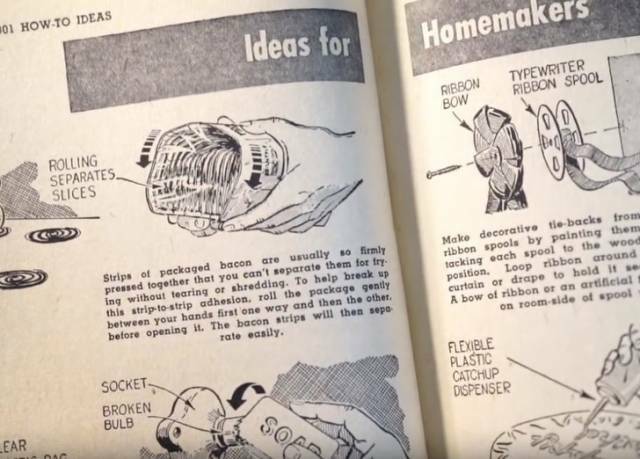 According to the book in the video, sometimes packaged bacon is packed so tightly together that you can hardly separate the strips when you want to cook them! So when you do decide to take the bacon pieces apart, they start tearing and shredding! 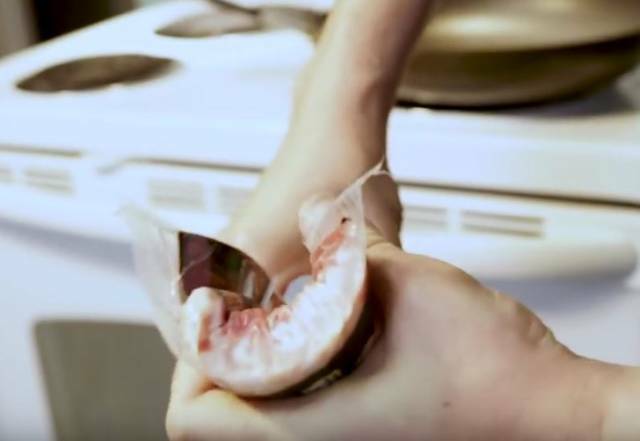 What you need to do is take the cold packaged bacon and start rolling it with your hands back and forth until you feel all the pieces being broken up. When you are finished, open the pack and pull out each strip and place it on the frying pan. You will notice that the bacon now cooks perfectly without any tearing or shredding. 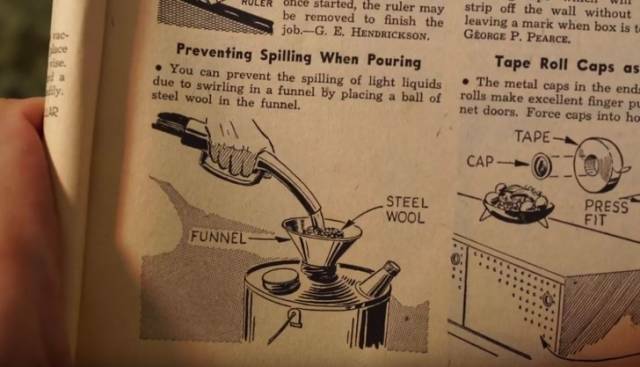 According to the book, you can prevent spilling of any liquid by placing steel wool in a funnel. 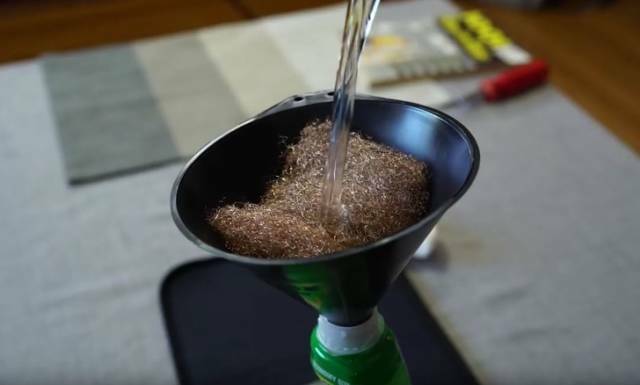 Steel wool is ideal for this because it will prevent the liquid from creating a swirl (as it usually does) when it’s poured through the funnel. The wool gives more room for air, especially when you are working with harsh chemicals or fuel which prevents spills. 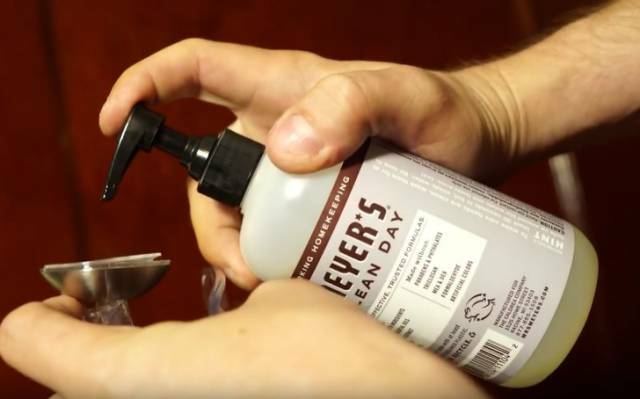 Now you won’t need to do a lot of clean-up afterward! 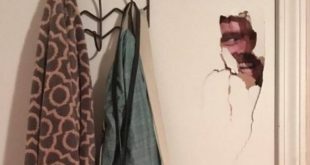 If there is a door in your house that needs to stay open the majority of the time, but it tends to swing and closed on its own, then this hack is ideal for you. 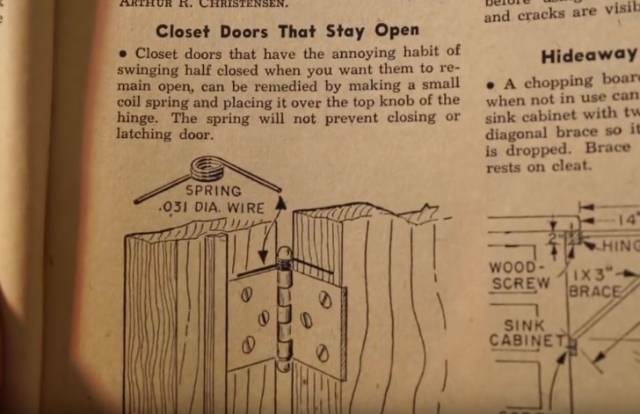 According to the 60-year-old book, you can remedy a closing door by making or buying a small coil spring and placing it on over the top knob of the hinge. 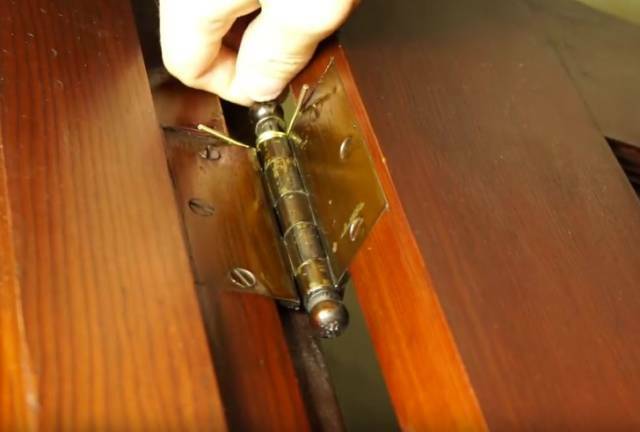 You simply remove the bar from the hinge and then slide the spring over it with the 2 ends pointing to the inside of the door. The force of the spring will keep the door open, but it will still allow you to shut it when you need it closed. 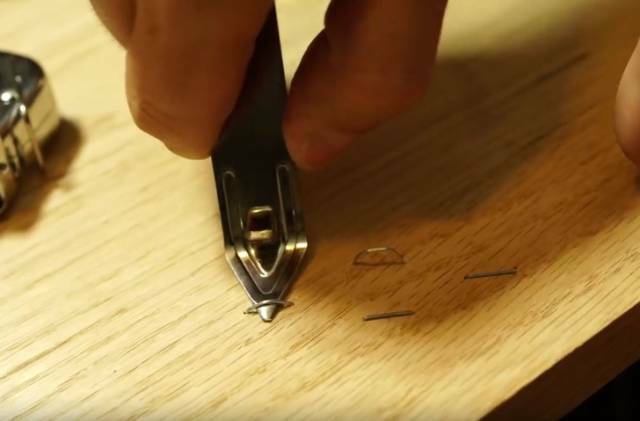 If you are constantly dropping screws, tacks, or nails when you are are working on your DIY projects, then you’ll appreciate this hack. 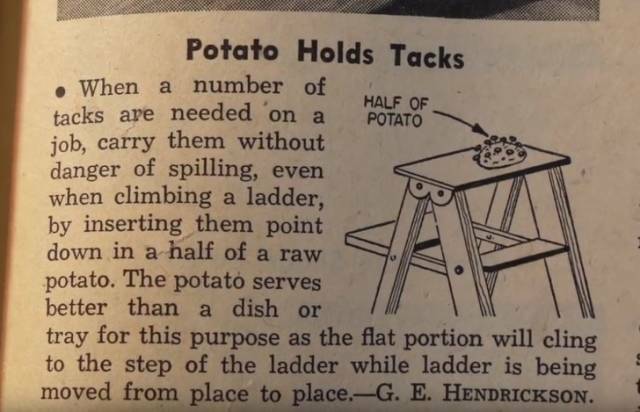 According to the book, you can use a raw potato to stick your tacks, nails, and screws in and carry them with you without the danger of dropping or misplacing them while you are working. 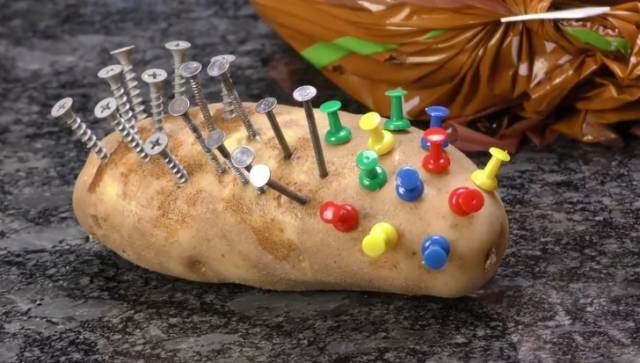 Just stick in all your tacks, nails and screws right into the spud and keep it by your side while you work on your projects. If you do not have a raw potato available, then use a hard fruit like an apple to get the job done. Sometimes it can be difficult to remove nails or staples from wood if you do not have the proper tools available. 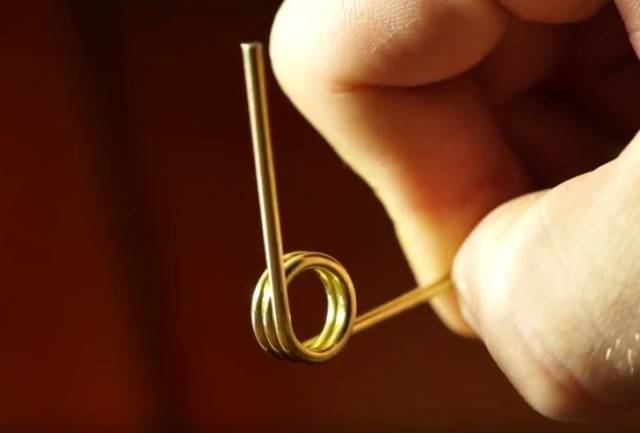 This tip can be a life-saver in this situation. 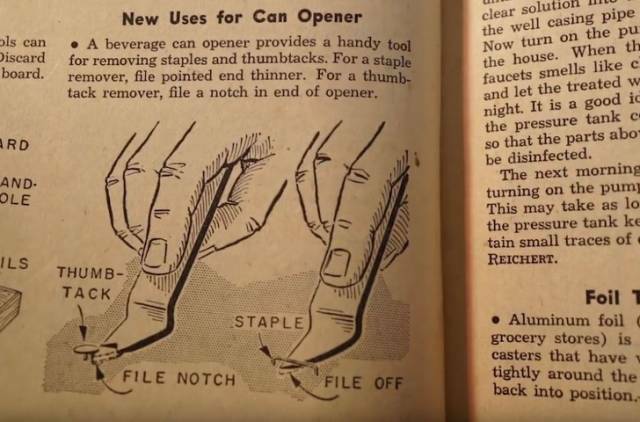 According to the book, a can opener can remove staples and thumbtacks, you just need to file the pointed end thinner. 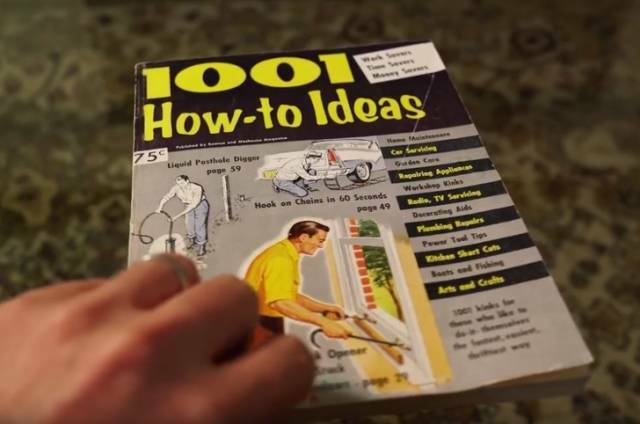 You’ll need to get some sandpaper and a can opener and run it back and forth for a few seconds. The metal then shaves down allowing you to pry up staples. 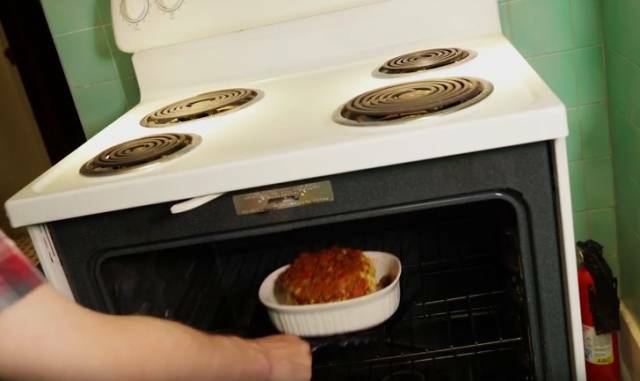 We all know that suction cups are one of modern life’s greatest conveniences, but they tend to fall off over time, so this tip is for all of us. 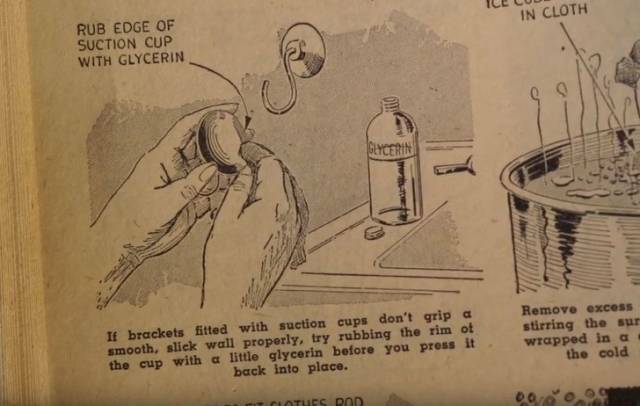 If you notice your suction cups not gripping on the smooth wall properly, then try rubbing the rim of the cup with glycerin (hand soap) before trying to stick it back on. 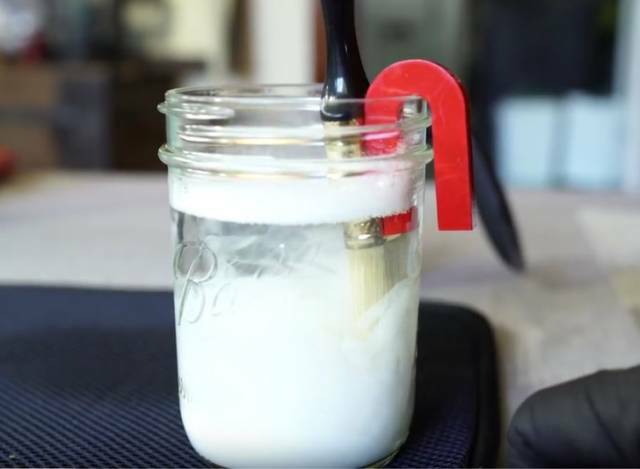 Just get some soap and pump a tiny bit of it into the suction cup. Then press it onto the surface and it will stick perfectly without falling or sliding off. It will certainly keep its grip much longer and enable you to use it as intended. 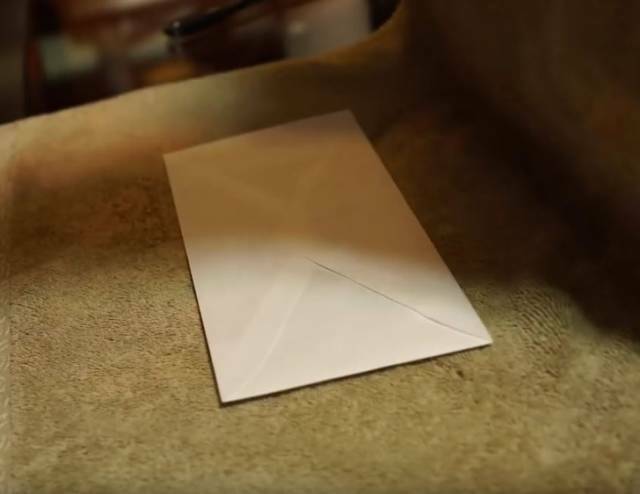 Have you ever written a very important letter or a card only to realize you forgot to add something important to it after you sealed it in an envelope? Then this tip is for you! The only thing you’ll need is a steaming iron. 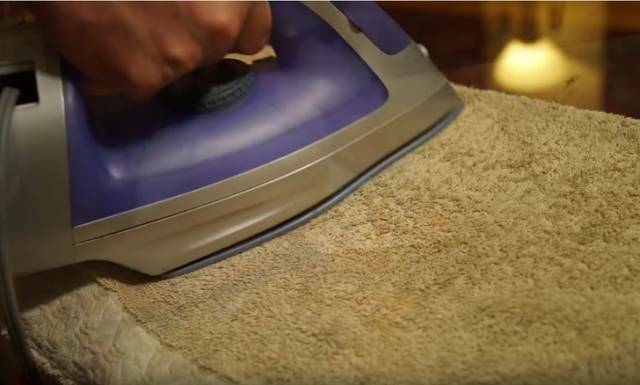 Just place your envelope inside a folded towel, and run the iron over it in a precise quick motion. Do some testing to your progress and focus on the parts of the envelope that haven’t been opened yet and check your progress. After some work, the envelope should pop open. 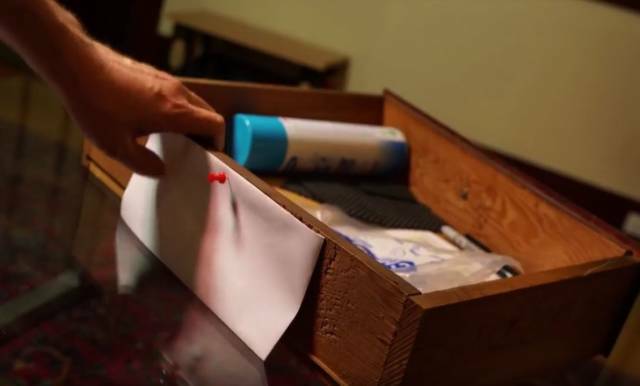 This method works great because you can actually re-seal the envelope using the glue that was already there. 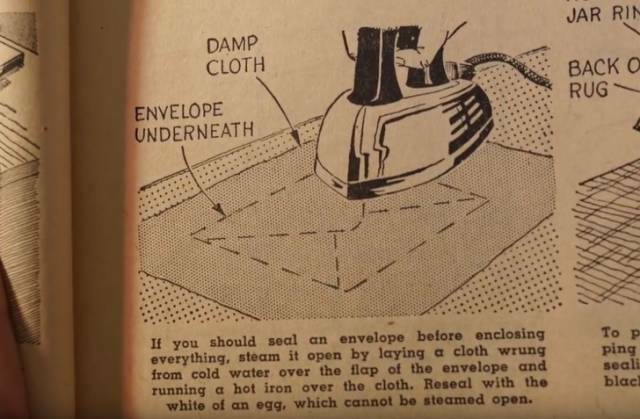 The only thing you need to do is place the letter back into the envelope and then run the iron over it in the paper towel without the steam this time. If you have long hair and you would like to avoid the fuss of un-clogging your shower drain then place a piece of steel wool in the drain opening. The loose hairs will cling to the wool when the water runs out and it can be removed to prevent a clogged drain. 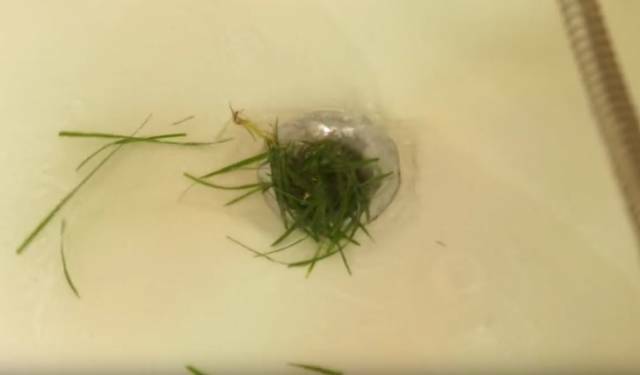 Since the creator of this YouTube video did not have any hair around the house at the time, he tested this method using blades of grass. The wool then served as a catch for all foreign objects heading down the drain. 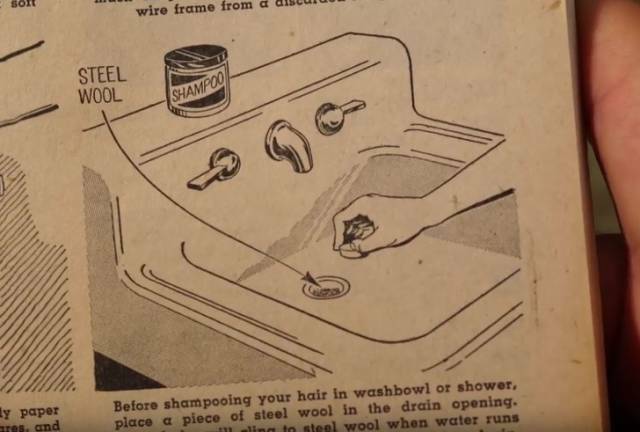 All you’ll need to do is remove the steel wool occasionally and empty the contents into the trash. 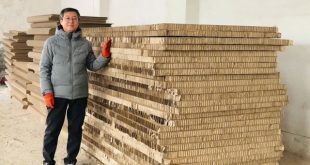 Would you like to hide important documents or emergency money in your house that nobody can find? Then this is the life hack for you. According to the book, a large envelope can be tacked to the back of a drawer to conceal your papers. You simply need to remove an unsuspecting drawer of your choice from its rails and fill the envelope with your important material. 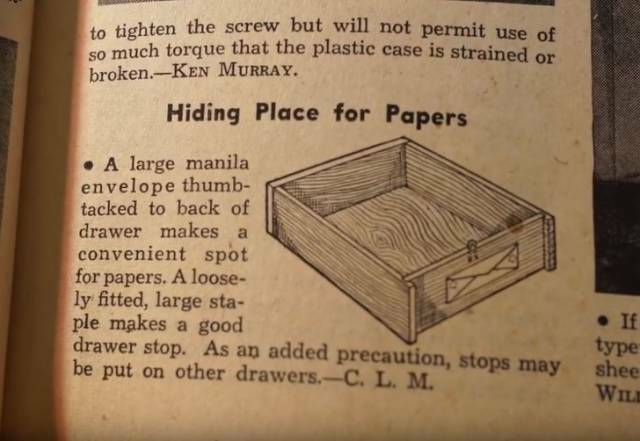 Then, take a thumbtack or a staple gun and attach it to the back of the drawer. When the envelope is secure in place, just put the drawer back on the rails and slide it into position. Have you ever been in a situation where you needed an oven mitt but you couldn’t locate one? 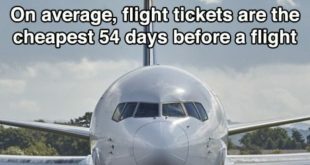 Then this tip can serve you for a lifetime. 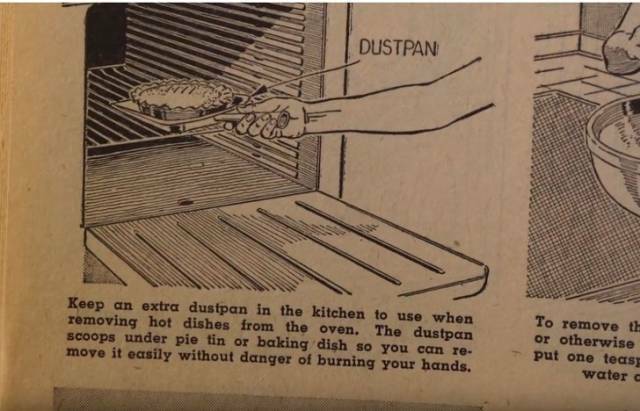 You can keep an extra metal dustpan in your kitchen and use it to remove hot dishes from the oven. 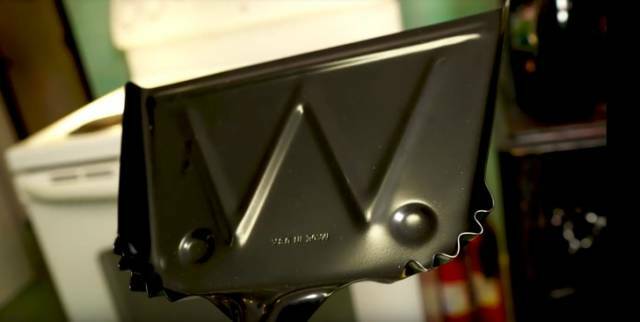 Remember: Only use a metal dustpan because plastic will melt when it hits a hot surface. This trick is pretty simple: when your food is ready just slide the metal dustpan under the hot plate and deliver it to your table. 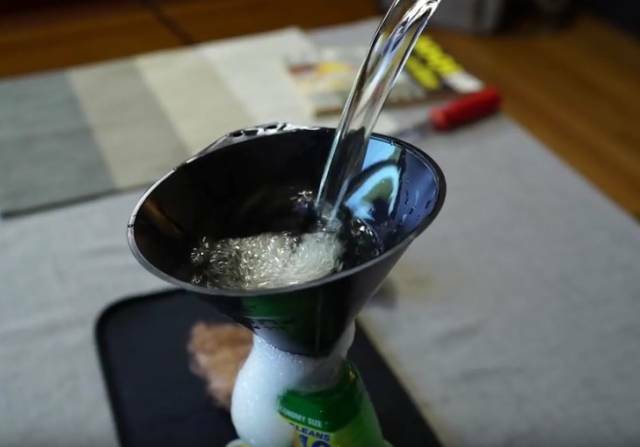 Definitely give it a try if you have a metal one laying around. The video was a success and the creator has a few more available on their YouTube channel if you would like to check them out.